The April 19th deadline for public comments on the DEC’s flip -flop on issuing a permit for the Sand Land Mine is quickly approaching. The DEC is not acting in the best interests of those who use water on the East End. WE NEED A PUBLIC HEARING ON THIS MATTER AS WE HAD ON OCTOBER 20, 2015. PLEASE SEND A NOTE TO THE DEC BEFORE FRIDAY, APRIL 19. Below are a few sample notes that you may wish to copy. Please feel free to share this note with your friends and neighbors. We demand a Public Hearing immediately on the recent issuance of a permit for the Sand Land Mine its operations. The Suffolk County Health Department found that the Mine’s activities have contributed contaminants to our groundwater beneath the Mine. Excessive lead, iron, manganese, carcinogens and pesticides are some of the contaminants cited in the June 29, 2018 Health Department’s report. As residents in the area who rely on this aquifer as our source of water, we have many questions as to why the DEC issues this permit contrary to the DEC’s removal of the Mine’s permit in September, 2018. We want Commissioner Basil Seggos and Region 1 Director Carrie Gallagher to answer our questions and hear our concerns at this public hearing. Why did the DEC issue a permit to a known polluter, the Sand Land Mine, on March 20, 2019, when in September, 2018 the DEC modifies the Mine’s permit citing its contamination of our aquifer? I demand that the DEC hear our concerns and answer our questions at a Public Hearing immediately. How can the DEC, the protector of our environment, issue a permit to a known polluter, the Sand Land Mine? In September, 2018, the DEC modified the Mine’s permit because of the contamination of our aquifer beneath the Mine. The Suffolk County Health Department reported the contamination caused by the Mine’s operations in a report issued on June 29, 2018. In addition, the DEC states in this letter that there is “de minimus” sand left in the Mine. So how can the Mine excavate 40 feet deeper if there is no sand left to mine? For these reasons, we demand a Public Hearing on the DEC’s issuance of a permit on March 20, 2019 to the Sand Land Mine. The community has many questions and concerns the the DEC has not answered. On October 20, 2015 the DEC had a public hearing on the Sand Land Mine’s application to expand. Now that the Mine has been given another permit, despite the DEC’s permit modification in September, 2018, we demand another public hearing immediately. Outrage over DEC settlement with Sand Land Mine! On March 22, several members from the NCC, Bridgehampton CAC, and Save Sag Harbor met with Assemblyman Fred Thiele to ask what can be done regarding the recent DEC settlement with Sand Land Mine. We also attended the Town Council meeting on March 26, but more help is needed from residents to protect our precious water. Tell the Town Board to Demand a Public Hearing with DEC Commissioner Basil Seggos and DEC Region 1 Director Carrie Gallagher in attendance. Flood the DEC and every elected official with comments. Tell Southampton Town Board that they need to legally challenge the settlement. The obvious abuse of operation rights has led to a public and environmental health issue that is not being remedied. As we delve further, there are several facts that are upsetting in that the Town has seemingly not taken more enforcement and action on. Based on the Suffolk County Health Department 2018 report and investigator’s photo/video, it is clear that Sandland has contaminated the aquifer and unregulated practices are occurring. The CO, dated 2016 (click here to view copy of CO) seems contradictory to the Town’s statement that new mines are not allowed. Why didn’t the Town apply to get the fees from the Appellete court ruling and why hasn’t the Town collected the $6,000? Why hasn’t the Town acted on zoning and variance violations? i.e. A scale is 19 inches from property line, etc. Why isn’t Sand Land continuing to be fined? What has the Town done to ensure SL meets code?Can the Town take the authority to amend the CO? Has the Town seen a site plan to validate this newly requested CO that keeps appearing on ZBA docket? How is it legal for Sand Land to keep applying to the ZBA, have hearings postponed, and still operate? Can a CO be revoked due to illegal and harmful environmental practices? Why was the illegal processing allowed for so long? Has the Town been in contact with the DEC over the problems or was the Town’s last contact with the DEC the Supervisor’s letter in July? Why hasn't the Town been contacting the DEC about the myriad of other illegal and unregulated polluting practices? NYS law (Oct2018) allows Town of Southampton to require monitoring of groundwater impacts resulting from mining/reclamation of mining. What is ToS doing to adopt and enforce the law? What is being done to clean up the site? (i.e. remediate the contaminated pools, etc.) Or is the Town ok with letting this contamination sit and seep into the environment? We look forward to hearing back with answers to these questions. The Group for the East End, the Citizens Campaign for the Environment, and the Noyac Civic Council have led the battle charge to clean up the contamination in our aquifer. Here is a letter, dated Feb. 7, 2019, from Bob DeLuca, President of the Group of the East End, worth reading. Below is another letter attached also worth your time. I urge you to write and/or call our Town Supervisor, Jay Schneiderman, and the Town Council to get them to act. Feel free to write to the Sag Harbor Express ( kmenu@sagharborexpress.com) and the Southampton Press (mailbag@pressnewsgroup.com) on this issue. Thank you for your time and interest in our hamlet and the health of our groundwater. Among the various issues we are working on with respect to water quality protection, we are currently pursuing the establishment of local laws that will improve groundwater monitoring for State-regulated sand mines and vegetative waste processing facilities. 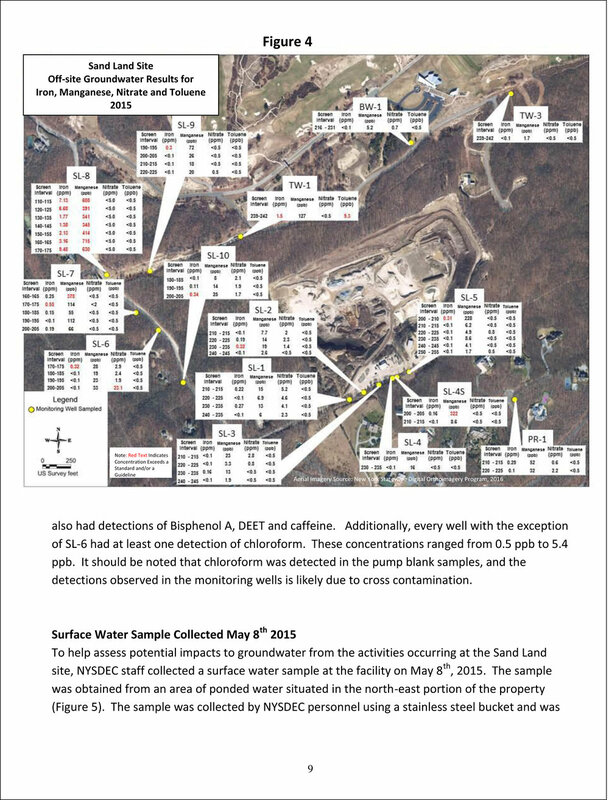 In brief, and as you know, over the last several years, research conducted by the Suffolk County Health Department and the NYSDEC has confirmed the presence of significant groundwater contamination resulting from the operation of sand mines (in particular, those with ancillary industrial processing operations also operating on the premises). 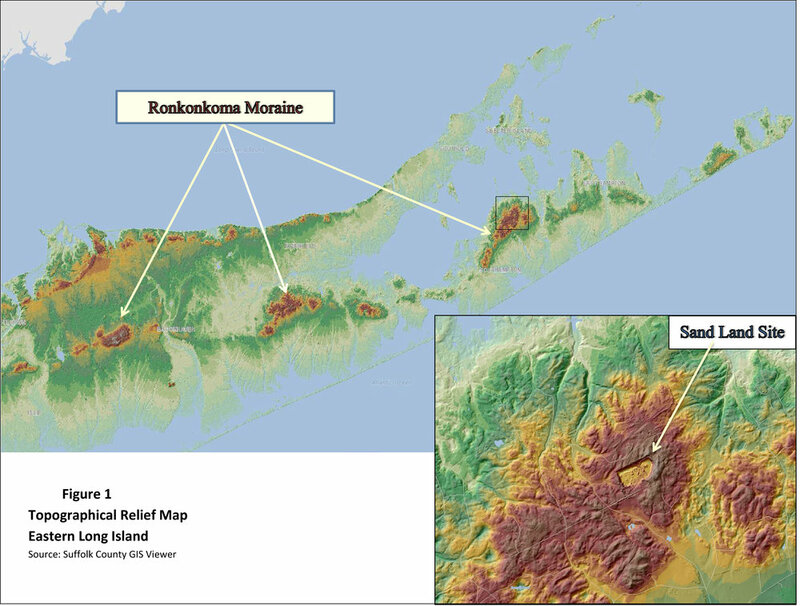 In response to this emerging source of contamination, Assemblyman Fred Thiele and Senator Ken LaValle have thankfully and successfully gotten an amendment approved by the New York State Legislature and signed by the Governor, that, for the first time, will allow local governments to impose groundwater monitoring requirements on state-regulated sand mines and mine reclamation operations. The attached letter outlines this issue and recommends that Southhampton Town adopt such necessary local laws as may be required to establish meaningful groundwater monitoring requirements for sand mines and for vegetative waste processing facilities under Town jurisdiction. Late last week, I sent a similar request to the East Hampton Town Board and have already received some positive feedback on the Board’s interest in moving forward with this measure. For your additional information, I have attached a copy of Assemblyman Thiele’s bill, which was ultimately signed into law last year. Also, I would be happy to provide you with the full studies issued by the SCDHS, which document the groundwater contamination associated with open pit mines and vegetative waste processing facilities. Given what we have already seen in Wainscott and Noyac, we believe there is a critical need to get out ahead of these potentially polluting uses for the future, especially because the NYSDEC is presently doing very little to contain the potential pollution associated with these industrial land uses. Thank you for taking the time to review this letter. I would be happy to work with the Town Board or any individual member who wishes to consider further action on this matter, which I hope you will. Tell the DEC to address the CONTAMINATION and the Town ZBA to deny the expansion permit once and for all. The DEC needs to protect our health and safety. Call or email Governor Cuomo: (518) 474-8390. I am deeply concerned by the DEC ’s lack of response to the Suffolk County Health Department’s report on the water contamination beneath the Sand Land Mine. On behalf of the 550+ members of the Noyac Civic Council, I implore you to meet with Commissioner Seggos to find a solution to this problem. I urge you to demand that NO PERMITS shall be issued to the Sand Land Mine by the DEC, the business that, as stated by the Health Department, has negatively affected our aquifer. Time is of the essence. Please let me know when you can arrange this meeting. Governor Cuomo must be engaged to make sure the NYSDEC does its job of protecting our water: Request that Sand Land/Wainscott Sand & Gravel located in the Town of Southampton NOT be issued a renewed permit in November. Gov. Cuomo needs to hear directly from the public. The mine is out of sand. The aquifer is everyone’s source of water on the East End, even Suffolk County Water. Note: The DEC has declined to attend our meetings, nor has anyone returned phone calls. The area outlined in purple is the area that was offered free well testing by Suffolk County Health Department. The vegetative waste management activities on the Sand Land site have had significant adverse impacts to the groundwater. The analytical results from the groundwater samples indicate impacts of elevated metals concentrations (in particular manganese and iron) and other groundwater impacts that are consistent with results observed at other VOWM sites throughout Suffolk County1, which have been attributed to the VOWM activities performed at these sites. Detrimental groundwater impacts were observed at the Sand Land site despite the significant depth to groundwater (137 to 154 feet below grade). Additionally, data from wells installed on the site suggest the presence of downward vertical groundwater flow component, indicating this is a vital groundwater protection area. This also suggests that contaminants released on the site may flow into deeper portions of the aquifer. The SCDHS should complete sampling of the private wells in the survey area to assess possible impacts to private drinking water wells to the west and northwest of the site. Based upon the groundwater information obtained in this investigation, and the results of the private well testing thus far, the extent of the private well survey area previously determined is appropriate. "This thorough report describes a groundwater investigation that is the culmination of years of effort by advocates and officials who have tenaciously fought for the protection of our invaluable aquifer, the sole source of drinking water on Long Island, and a critical resource for current and future residents. The report demonstrates definitively that the ongoing activities at this site are polluting our drinking water now and for future generations. The conclusions of the report must be met with swift action. The evidence shows significant negative groundwater impacts from the waste management activities occurring at the site, including manganese exceeding drinking water standards by almost 100 times and iron by over 200 times, as well as elevated levels of contaminants such as thallium, sodium, nitrate, ammonia and gross alpha, despite the significant depth to groundwater at the site. It is therefor imperative that the activity cease unless mitigation measures to effectively prevent groundwater impacts are identified and implemented.